Customers wishing to extend the range of ther wireless network will be interested in the new SmartRG WE65ac wireless range extenders. 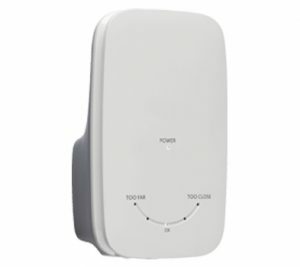 These devices plug to an AC wall outlet and can pickup the existing wireless signal from any router and re-transmit it, using the latest dual-band 802.11ac technology. They can also be connected to your router via Ethernet cabling to use it as an access point. You can pick one of these up from the LMi.net office for just $65.00 + tax. See the spec sheet for more info.